I had one of the most beautiful vacation of my life this summer. I spent three weeks in Tuscany, in a small village called Barberino Val d’Elsa, somewhere between Florence and Sienna! This was also the first time that I was spending more than a week with my girlfriend. Yep, this relationship started in a long-distance set-up… not ideal but we are making it work and this trip to Tuscany confirmed that we are doing it right! I think we both had some doubts about the future at the beginning of these vacations. And the first few days required some adjustments. It is often like that when we see each other after a long period of separation. At the end, we were both convinced that we wanted to take this relationship further. This was confirmed when we met a week later in Oslo for a long weekend. Yay! (by the way, if you are looking for a great place to stay in Tuscany with wonderful hosts, I can strongly recommend the Torre di Ponzano). I can easily get enthusiastic about new things when I travel and, of course, I am now obsessed by all things Italian: pasta, pizza, wine, but also panforte, vino santo and truffles (ok, truffles might not be only Italian but I had quite a bit in Tuscany and I am now totally addicted). Unfortunately, It is not easy to find real Italian stuff in Stockholm. I have been looking at menus every day and none of the Italian restaurants I have found in Stockholm look like the real thing in Tuscany. 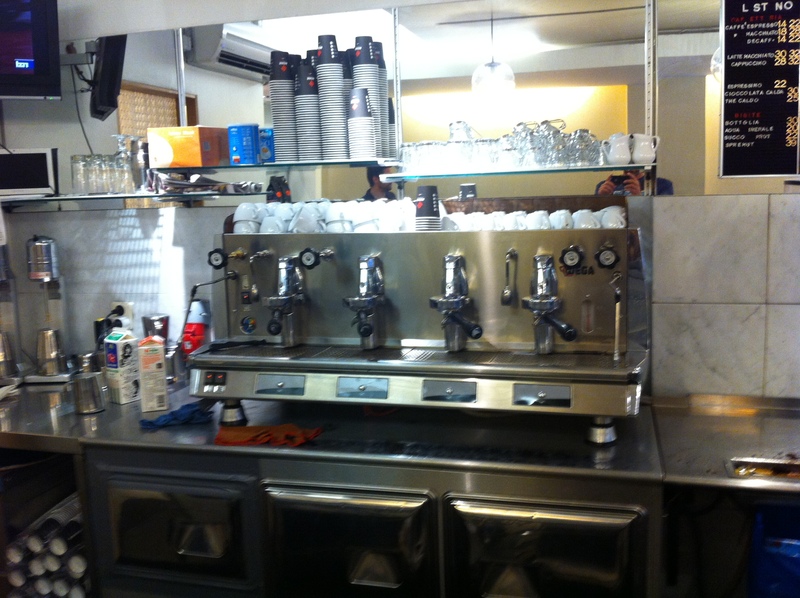 However, I knew of a café where I had been a few times and today was the time to blog about it! Espresso Bar Sempre! I was quite reassured when I heard the guys behind the counter speak Italian to one of the customers. I had been there a few times before, but always at lunch time during the week when the place was packed with Swedish workers. I was however confident that the place was Italian because a colleague of mine, who is very proud of his Italian origins, always want to come here for coffee. I just had breakfast at Café Égoiste so I knew I would not eat much at Sempre. This is probably better this way. Even though they seem to have a few sandwiches, I am convinced that one should really focus on the Italian treats at Sempre. And this is what I did with my double espresso. It’s a good thing that I am a reasonable man (! 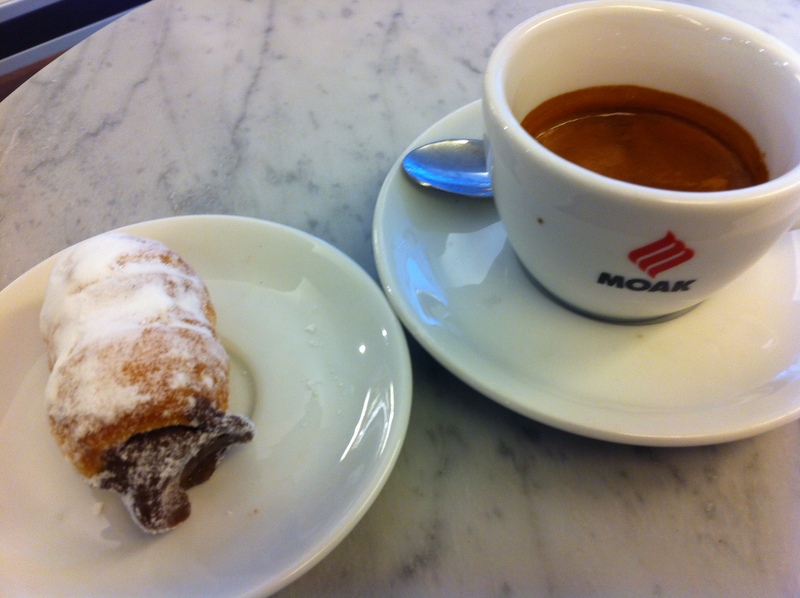 ), otherwise I would have spent the entire afternoon at Sempre, drinking coffee… and eating sweets. The espresso was amazing! The sweets were great, and so tempting! 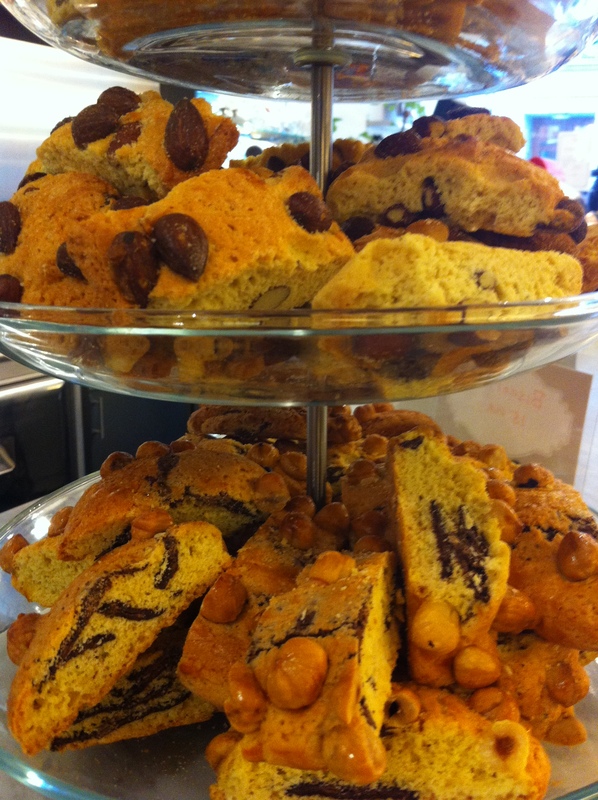 I was also tempted by the biscotti, although these were easier to resist since I have now decided that I would eat biscotti only with vino santo. Now I regret I did not take some to bring home with me for tonight! 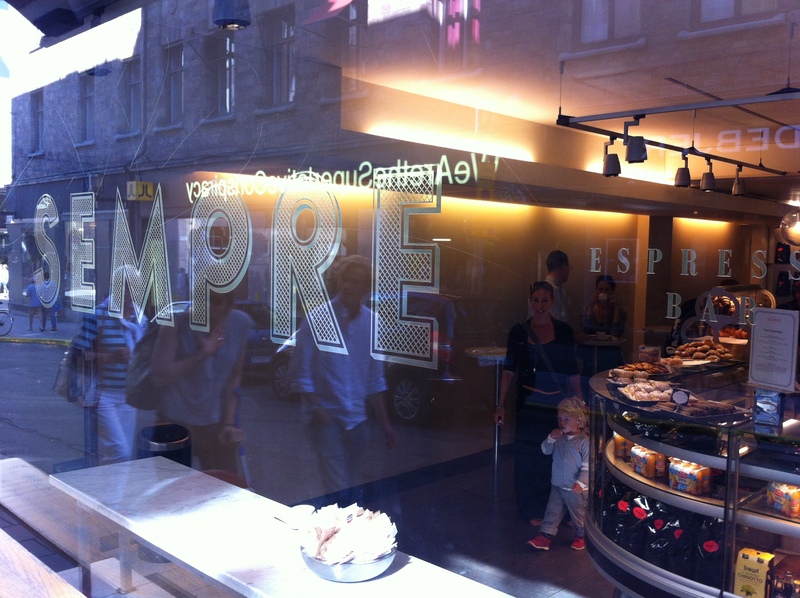 Sempre is close enough from my office that I will want to go every day. Unfortunately (or thankfully? ), the nice summer days will soon be over and the wet season will probably restrain me in my enthusiasm. 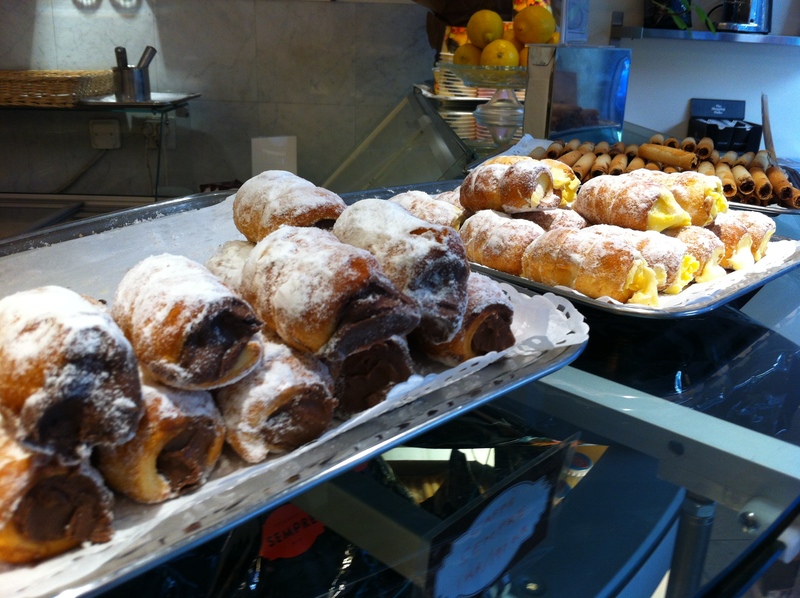 I know, however, that I will stop at Sempre every time I am in the neighborhood, which is quite often!